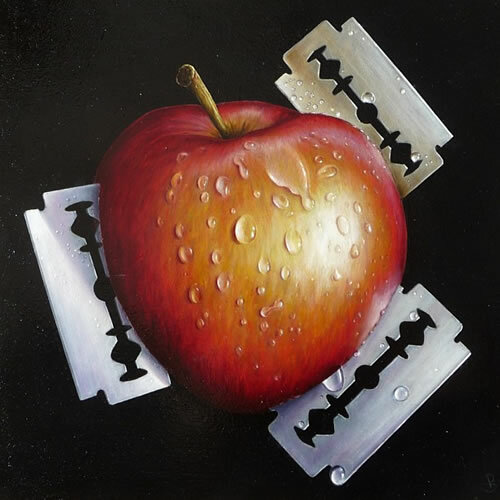 Artist Peter Smith – Teaser artwork for upcoming New Releases? The picture added yesterday shows the artist perfecting his painting of metallic, watery and shinny surfaces and I think he is doing rather well! September usually sees a major phase of releases by the two dominant UK publishing houses for high street art: Washing Green Fine Art & Demontfort Fine Art and we hope to see, as usual, something new and creative from Peter next month. 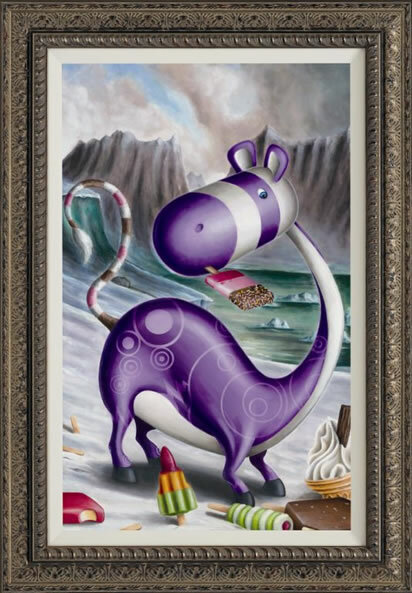 For me his most memorable change of direction was his ‘Lost Impossimals’ collection in February 2012 that saw Peter display Dinosaur-esque and hybrid type fanciful characters (his Impossimal characters crossed with animals) in a series of six limited edition prints and it proved a major hit! We are very excited and wonder in what way his lovable characters will appear in his upcoming limited edition releases, all we know is they should have a good splashing of: water, metal & shiny surfaces!…Peter you don’t give much away!